For over 30 years, Action Garage Doors has provided unbeatable garage door repair in Cinco Ranch. Our team of professional garage door repair technicians is there to help you whenever your door is on the fritz. If you want the absolute best garage door repair, call Action Garage Door. We always strive to exceed our customers’ expectations about what a garage door company is supposed to do. We go above and beyond for our customers’ satisfaction. Not only do we provide exceptional service by an expertly trained staff, but we also seek out the best garage door parts on the market. With quality parts, your garage door is sure to stand the test of time. 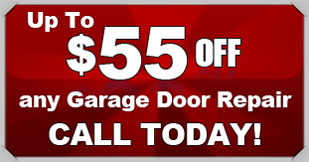 If you need any garage door repair services in Cinco Ranch, you know to call Action Garage Door. At Action Garage Door, we are committed to quality craftsmanship of our garage doors. The garage door is a focal point of your home. You can change the whole character of a house with an eye-catching garage door. No matter what your budget, Action Garage Door can help you. If you need a particular size of garage door for your business, no problem. We help businesses each and every day with very specific needs. We love helping local Cinco Ranch residents and businesses find that perfect garage door. Give Action Garage Door a call and one of our knowledgeable staff will be able to assist you.